Taking a vacation doesn’t have to mean taking a break from your healthy lifestyle. In fact, if you head to the right destination, you could even improve your physical and mental wellbeing. The Salt Cave at Penny’s from Heaven. 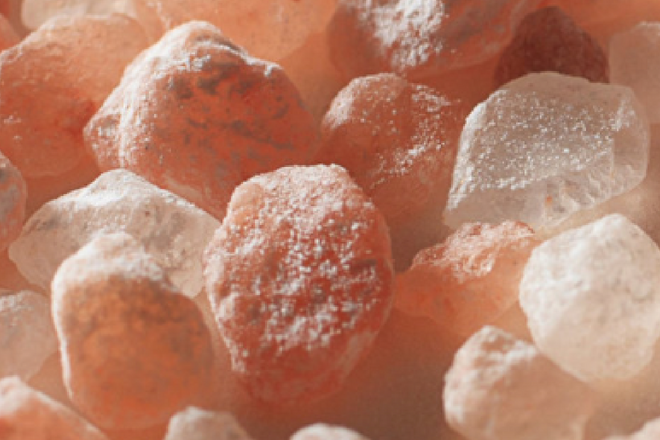 The healing power of salt caves has been well documented in Eastern Europe for hundreds of years. Penny’s from Heaven in Rainsville brings the centuries-old practice of halotherapy to Alabama, along with its health-bolstering and mood-improving effects. This non-invasive, drug-free treatment also alleviates problems associated with asthma, allergies, sinusitis, and other respiratory ailments. Penny’s from Heaven also offers a full array of traditional spa services, from manicures to massages. Talk about breathing easier! Dinner at the Wildflower Café. Enjoy a great, healthy meal in this hippie-chic dining area, and stick around for some cool tunes by talented local entertainers. 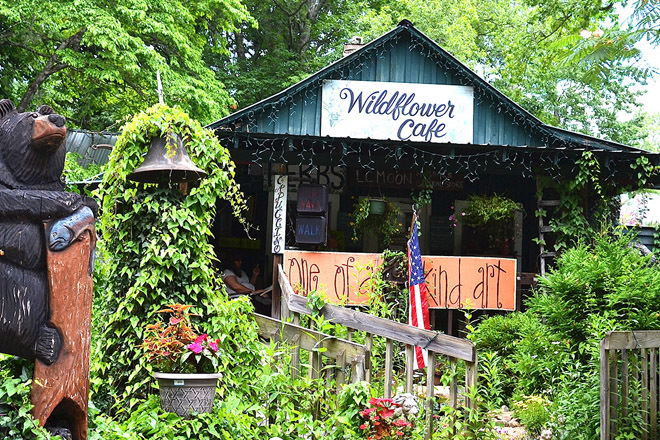 The menu at Wildflower Café features everything from hearty meals to lighter fare and includes both vegan and vegetarian options. You won’t want to miss the famous tomato pie—after all, tomatoes are chock-full of good-for-you lycopene! Be sure to visit the ​Country Store while you’re here… you’ll find loads of local-made pottery, jewelry, artwork, hand-made cards, bath and body products, candles, and a variety of other gift options and sweet mementos from your time on the Mountain. Yoga on the Mountain at DeSoto State Park. If you’re interested in starting your day in a positive way, why not begin with a yoga class in a beautiful place? The combination of a lush, green environment and the calming practice of yoga are bound to lower your blood pressure and sooth your soul. These classes are focused on alignment, so they’re perfect whether you’re beginning your yoga practice or just ready to try something new. Walk-ins are welcome, and classes start at 8 am most Saturdays. The Splendor of Nature. 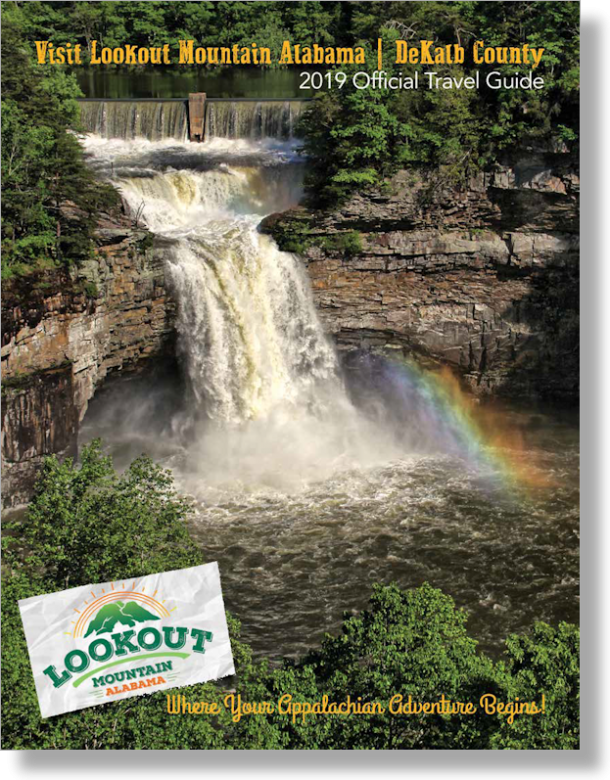 Of course, one of the most rejuvenating aspects of a trip to Lookout Mountain is the stunning surroundings. 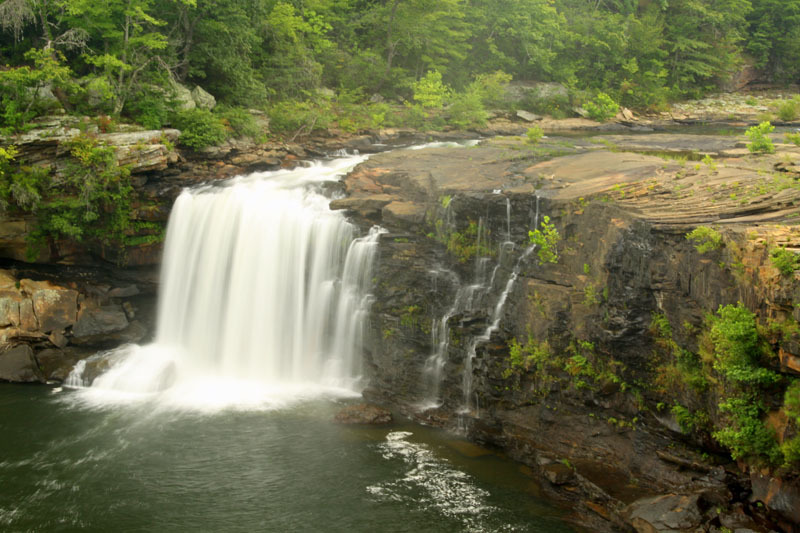 You’ll find two state parks and a National Preserve on Lookout Mountain or within just a few miles of Lookout Mountain, each one just waiting to be explored. Whether you feed your soul with quiet solitude or full-throttle adventure, you’re bound to find something that speaks to you. No matter how you choose to spend your time in and around Lookout Mountain Alabama, you’re bound to return home refreshed and re-energized, ready to face the world with a renewed sense of calm and relaxation. And when the need to escape appears, you’ll know you’re just a short drive away from the serenity and scenic beauty of North Alabama’s best kept secret.